If there’s one thing everyone wants, it’s flawless skin. But no matter how hard you try, it seems your complexion doesn’t want to cooperate. By the time you get your breakouts under control as an adult, you’re starting to see fine lines around your eyes and mouth. And acne and wrinkles don’t compare to the stubbornness of cellulite! Stop slathering your skin with chemical-based creams and get the natural solution that actually works! 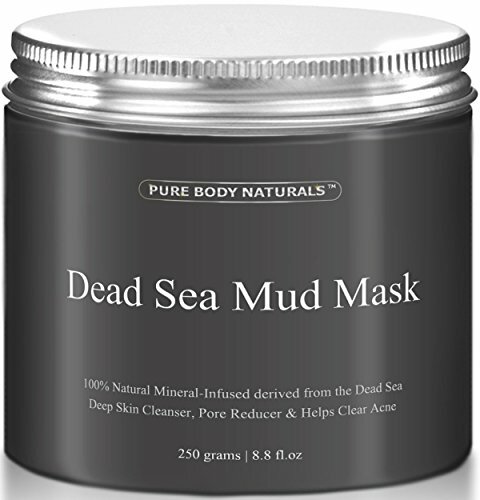 The Dead Sea Mud Mask by Pure Body Naturals is an effective treatment for many common skin problems. Noted for its high concentration of sodium and magnesium, mud from the Dead Sea is highly effective against pimples, blackheads, and other blemishes. It draws out oils and toxins, cleans pores, and helps fade acne scars.